Last month, Bill Cosby co-published “Come on People,” a book criticizing the black community. Read a review. It was around 2004 and the 50th anniversary of the Brown versus Board of Education Supreme Court decision that Bill Cosby began his transformation from legendary entertainer to third rail. He has taken an active role in criticizing the shortcomings of black American culture, in the parenting, lifestyles and priorities. For it, he has gotten the Huxtable beaten out of him from black leaders, progressive whites, race commentators and activists of every other size, agenda and caliber. He has tried to develop dialogue, through his discussions and speeches, even his Web site. 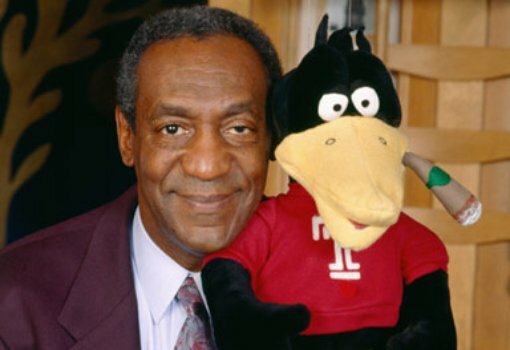 The thing is, news about Bill Cosby, who first went to Temple in the 1960s before leaving to pursue his comedy career, is intensely important to any Temple student worth the Hooter in their heart. And, you gotta at least respect someone for thinking an issue so important that he bets his career, his reputation is worth risking. The Cos has done both, news and risk, again. The book is full of the things he has been saying in interviews and town hall meetings, at conferences and during speeches. Unabashed criticism for a sometimes undefined segment of the black population. “…Black English in school and on the job gets the user nowhere,” Cosby and Poussaint wrote wrote. For criticizing black slang, in addition to hip-hop music, materialism and other plagues they see in black culture, Cosby has been derided as a sell-out, his very authenticity as a black man questioned, despite his North Philadelphia upbringing, his seminal place as a black entertainer, and the reality of the place he seems to direct his words: the black community, not mainstream whites, as some have criticized his tenets most serve. “We all have some piece of Frederick Douglass in us… a slave wanting to read…” they continued. At times, ‘Come on People‘ reads like an instruction manual – including things like advice about getting finances in order – but it is tough to believe those they hope to convince are going to read it. Community meetings might be a better forum, and I would be surprised if the Cos and his Harvard M.D. buddy didn’t realize. I suspect ‘Come on People’ is a way for him to promote his message, to get gigs on “Meet the Press,” as he did Oct. 14, and “Larry King Live” and other talk shows, as he has. I can believe it. And, like most who aren’t living in the Richard Allen projects or Norris Homes, I agree. But what might matter most is the progress Cosby is making, which, sadly, appears to be not much. He hasn’t brought on enough high-profile black Americans to his side. Perhaps for the same reason his mission hasn’t caused much more than criticism. His influence may be waning, inching one of the most important, most iconic, most impersonated entertainers from the 20th century towards irrelevance.